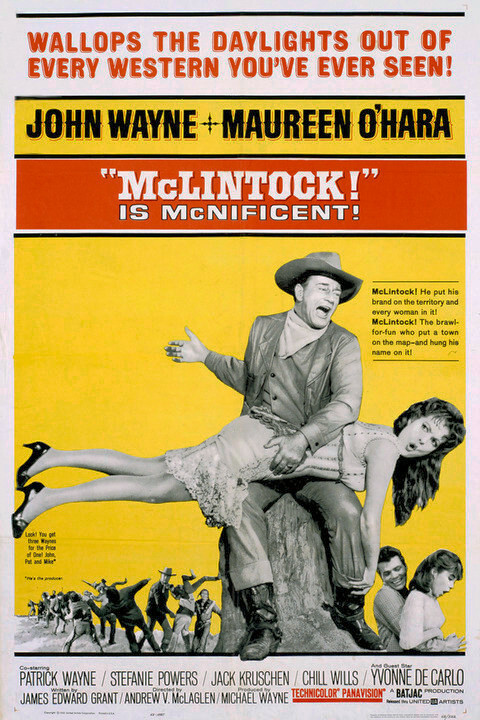 McLintock! 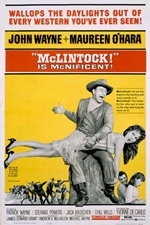 is a 1963 comedy in Technicolor Western directed by Andrew V. McLaglen and starring John Wayne, with co-stars including Maureen O'Hara, Yvonne De Carlo, and Wayne's son Patrick Wayne. The film in Panavision, produced by Wayne's company Batjac Productions, was loosely based on Shakespeare's The Taming of the Shrew.